It was a gorgeous day in Portland and I ventured out for my Fall Drive By! Is there anything more lovely that a fall day? Now, tell me. Does that door (above) look like a chalkboard door to you? I think I see words around the top of the round window! Isn’t that the coolest idea EVER? A chalkboard door for your front entry? I love that. 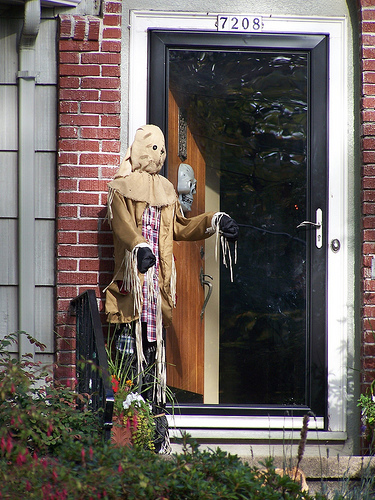 I found a few front doors with fall decor as well as front yards all decked out, so I’ll share a bit what I saw. This was my least daring drive by ever. It was pretty mellow! No one was outside! I don’t know why, I didn’t have to duck into bushes or dive over fences or anything. I just snapped away without risking life or limb. The other thing about this drive by is I didn’t find a ton of over the top gorgeous fall front decor. 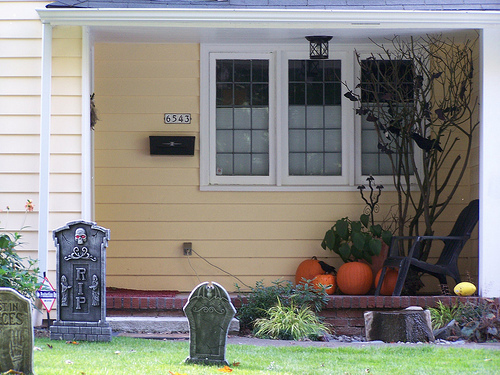 I saw a lot of scary things, but I was hoping to find more urns and pumpkins and leaf decorations. Didn’t see much of that! I thought this entry was so pretty. It was even prettier in real life. 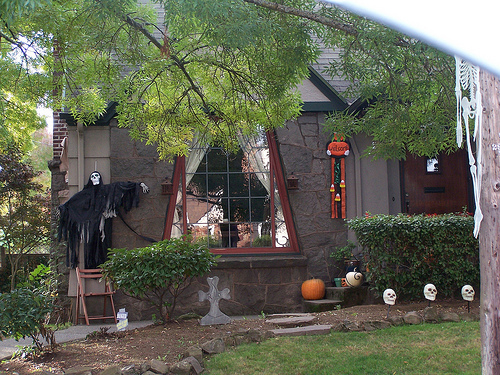 Ok, this wasn’t decorated at all but I fell in love with that stone fireplace chimney and the porch cover. Just thought you might like to see it. Yikes. Creepy skeletons. Something unwelcoming about this. Probably what they were going for, though. Darn, you can tell I was in the car for this photo! The corner got cut off. Sorry, just noticed that. This home had such pretty landscaping. The front porch looked so pretty with the mums and pumpkins lining the steps. And I loved all their grasses and landscaping along that wall. So many skeletons this year. Everywhere I looked. AAAARRRRR! Love these front double front doors. 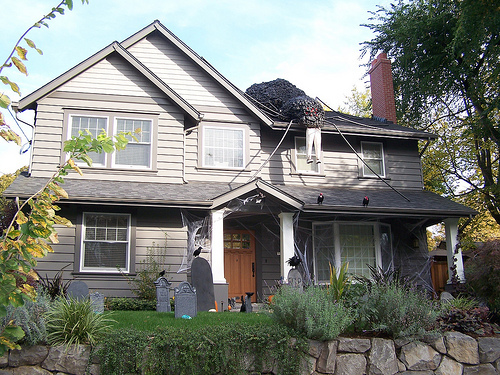 This house went all out from the graveyard out front to a giant man-eating spider on the roof. Not really sure what is on the front door. Maybe some roadkill. are responsible for its cute remodel. I always love snapping a picture of it in Fall. This was actually from last year but I still like it! Alrighty, there you go! Another drive by! And now, you may join me and link up your own drive by! 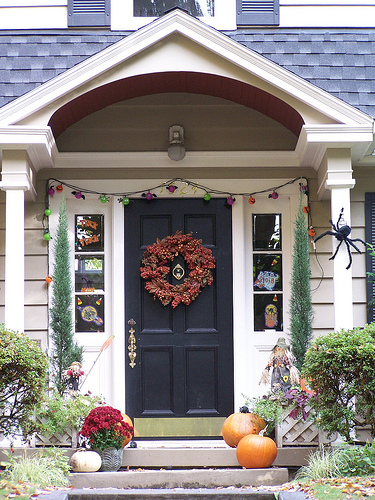 And of course, check out the amazing front porches and fall yard decor others have found to share! If you want to link up, here is what you do. You can link up any time through Halloween. 1) On your blog, you let your friends know you are participating in The Inspired Room’s Fall Drive By by linking to this post or blog right in your post. 2) Then you get the link to your specific drive by post (not to your general blog because it makes it hard to find your post in a week or two). 3) Put that link (let me know if you need help finding the right link) on the Mr. Linky form below. 4) I do have to remove links that do not follow these instructions…I want to make this FUN for readers! If you had a link here and it is not longer visible, it probably means I had to DELETE it because it went to a home page and not to the correct post. Wow! Portland goes all out for Halloween. I love the houses, so much character. My town is pretty (very wooded) but there aren’t any old houses. Which KILLS me. Btw, I didn’t see Mr. Linky…. yeah, where is MR. LINKY! He is supposed to be here…I’ll look into it. Darn Mr. Linky. I’m impressed with the Halloween decor in Portland! Great pictures. I have a post, but don’t see Mr. Linky! I’m all ready to go. I’ll pop by in the morning & Mr Linky up! Ok, He’s there now. Sorry, with my new header Mr Linky disappeared. But all is well now! :-) Thanks for checking back. I see him! Glad you fixed the problem…thanks for doing this! Gorgeous pictures! I am dying to know what camera you’re using — and I think I need a telephoto lens! Hah! I didn’t include the non-decorated houses I had seen — if I do another post on those I’ll let you know. Thanks for hosting this, you’re the best! That giant spider is crazy! ha. I will be working on my porch post and add to Mr. Linky soon. Hi Melissa, this is SO FUN! I have been looking forward to this! Great post and such great photo’s. I don’t think I have been so excited about fall/halloween since I was little! Hahaha, oh the things that make us happy! Thank you for all your hard work in putting this together! Yippeee! i’m so glad to see you sharing our portland porches! i’ll have to find a great neighborhood you didn’t get to!! how long do i have to get my porch post up? was it limited to today? Breannas inspiring blog post..Are you a Resourceful Mommy? You have some great decorators in your town. I couldn’t find many here at all, but have displayed mine. I especially like the man eating spider even if it is EWWWWW! Happy Halloween! My goodness Portland is beautiful! I especially love the huge spider. So creepily good! BTW, I like your new header. 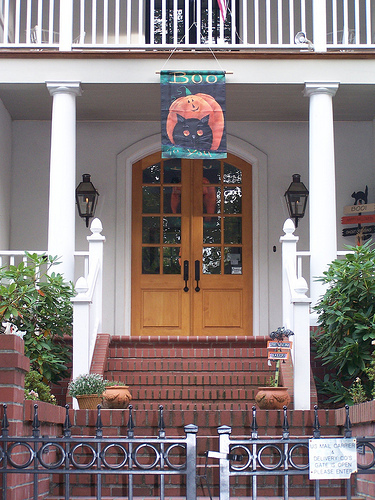 Ms.Tees inspiring blog post..Fall Porches on Parade! You can add your links through Halloween, so keep your EYES PEELED for fun stuff to share! 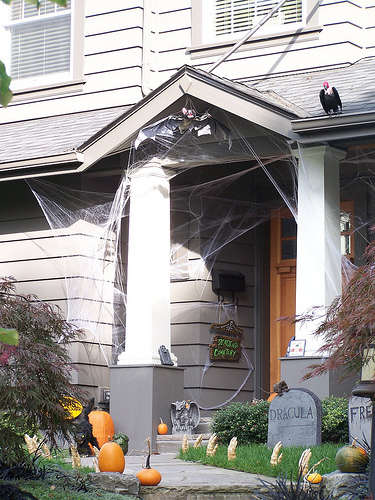 man….how fun to have so many fun “Halloween” porches in your area–I had to look long and hard to find the ones I did in my area. Way to Go Portland! and that hugh spider is crazy fun! Thanks again for the blog honor :} and all this fun! Wow! Some of those porches are just georgous! I had to laugh at that huge spider with human legs sticking out. lol I think my husband will kill me if I did that. Bad enough I have skeletons in my entryway. ;) And yes, that is my house on my blog. Thanks for stopping by! 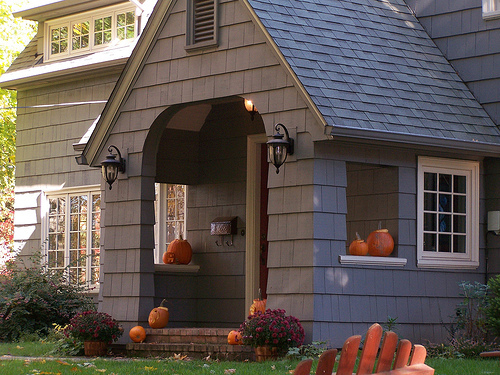 nancys inspiring blog post..Fall porches on Parade!! I have not spotted anything nearly as creepy as you have. It was fun to see! 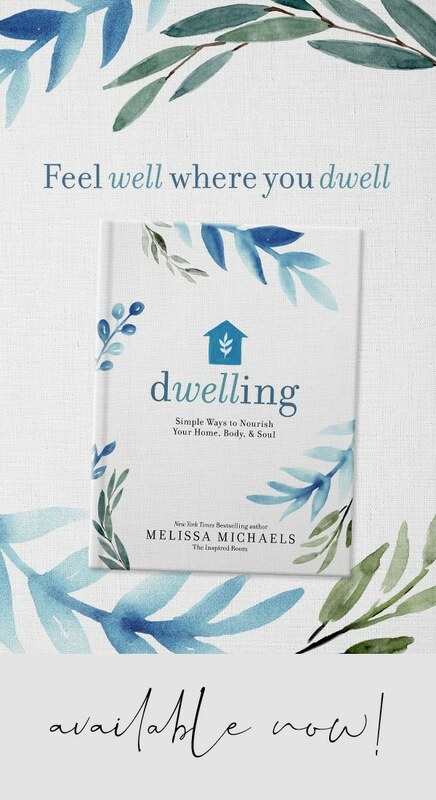 And thanks Melissa, this whole thing became so much more to me… as your name intends, you really are an inspiration and I am so glad to know you. Thank you for putting together this driveby. I’ve been looking forward to seeing everyone’s discoveries. Things are a little different now that I’m in Germany… okay, a lot different! I’ve included photos of porches here. A little different. I can’t wait to see more spiders on walls and roofs and the other wild things people do in the US/Canada! You have the most beautiful homes in your area. It makes me want to visit just to drive around and gawk at them! What a fun drive-by. P.S. Love the new header. Lots to see for Hallowe’en in your neck ‘o the woods, Melissa! I just linked my subdivision doorway post from a couple weeks ago. Can’t wait to take the tour around blogland. Our “little” town consists of a LOT of 3 acre lots with 50 foot driveways, so several of my pictures did not come out as clear as I would have liked. Oh well! I even ended up doing a short blog on my own front porch, I had so much fun with the entire idea! The first link I put in doesn’t work. The second link is the correct one. Sorry. What a beautiful neighborhood you have…I am in love with the house in the 3rd pic even though it is not decorated! We finally had a beautiful fall weekend so maybe that will motivate my neighbors! I can’t get the smile off my face, a truly memorable post Melissa, thank you! I wish I decorated my porch so I could be friends with Mr. Linky! Oh well. Christmas I’m all over it. That house with the stone chimney is uh-mazing. If that’s your neighborhood, I’d be going on walks everyday! Those houses are simply stunning. Great photos. 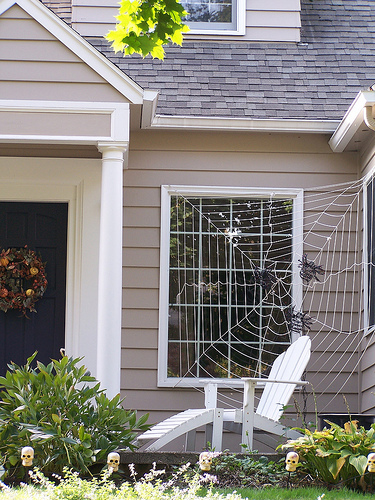 And the spider was creepy and fun and I’ll never put anything like that on my house. :) Have fun today! What a fun idea. I came here by way of A Haven for Vee to check out your porch post. I am looking for some new outdoor display ideas as I am tired of doing the same thing year after year. I hope to find some great ideas! Thanks for hosting and happy Monday! Miss Sandys inspiring blog post..It’s Fall Ya’ll….. Thanks for the party! I’ve already gotten so many great ideas for next year! Seems like people go all out for Halloween don’t they! I love your new banner! I love that fireplace! It is going in my dream house file. 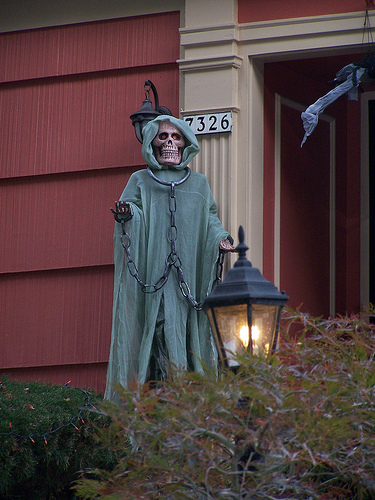 Some very spooky decorations in your neck of the woods. Yikes! Fantastic new header! and I love your drive by! 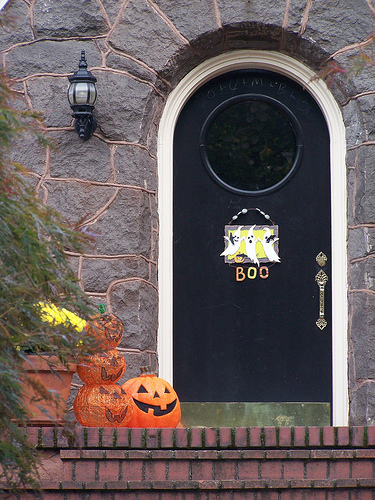 I love the character of the Portland front doors! My town does not offer much in the Autumn porch decor either. Mostly scary, but the spider is over the top…literally…lol. WOW you got some BEAUTIFUL shots of some front porches!! …I’m off to click some of the links now!! Thanks!! Tidymoms inspiring blog post..Candy Corn Cookies! I didn’t join up this time, but I’ve loved looking at all your pictures. That stone and brick fireplace is really beautiful – I’ll bet there’s a story there. 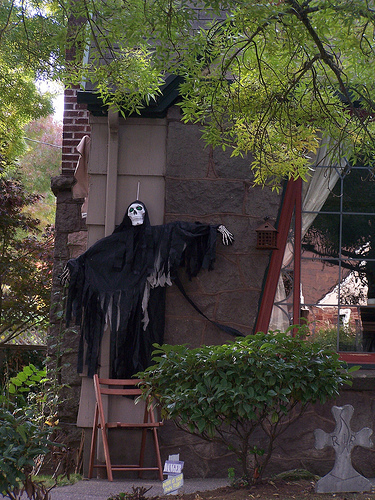 As someone who’s really not into Halloween decor, I’m amazed at how much time and effort people put into it. 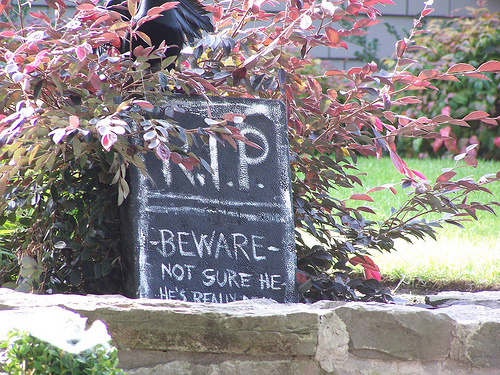 I just linked up to my front porch pics from Kimba’s Halloween Party, I hope that is ok. I actually should have titled my post differently though..for some reason I thought your party didn’t start until this evening and I thought would just do a separate post for it…then I saw it already started and I sent the post in before editing the title…ugh! Do you have a party button? I didn’t see one, but if you have one, I will add it in to my post. Thanks for all of the hard work putting these parties together!!! Love your blog and what a grand idea to do a drive-by photo shoot. I posted my own fall decor photo but may be back to post more as I drive around looking for grand opportunities to take photos. Love Halloween! Love getting more Halloween ideas, too! Thanks! Amandas inspiring blog post..HALLOWEEN FINALLY! Great pics Melissa! Even the scary stuff looks beautiful on those homes. Have a great week! Can’t wait to check out all of the links. I loved your post as usual and had fun particpating in the Fall decor and sharing what I found. Beautiful porch photos, Melissa! This was so fun! I am going to try to make my way to everyone’s blogs today. 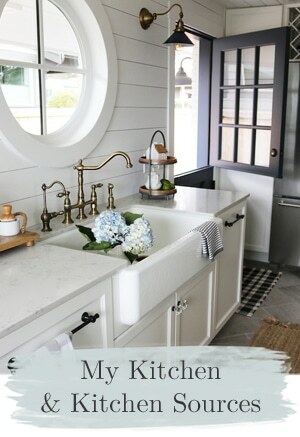 Emily@remodelingthislifes inspiring blog post..Link Love: Pumpkins Galore! I love all the neat front doors. Really helps with inspiration!! Stephanie Bs inspiring blog post..Day of movies and WAR! I will pop over to some of the other poster’s sites when I have time. Love you, my dear BFF! I really like the new banner! Very cozy looking! thanks for hosting! so much fun to visit all these wonderful homes without leaving my chair! found lots of great ideas for next year! Great idea! I too love looking at all the festive homes as I drive by. I am going to try out Mr. Linky for the first time. Hope it works! Loved your tour! It is all so fun and festive! :) You had a fabulous idea for us all to share. Looking forward to see what everyone else is showing. Very cool idea. Thanks for sharing. Love the house eating spider. Really enjoyed the tour! That big ol’spider sure is something!!! I’ve been visiting since early September when I can–found you through Kelli–“There’s no place like Home” as I was needing some Fall inspiration! Thanks for hosting “The Fall porch drive by” and for all the wonderful inspiration! This was fun! I enjoyed all of your pictures. They were amazing. Carols inspiring blog post..Porches on Parade……. Thanks for hosting such a great party! I love looking at all these links for ideas! You have such a beautiful blog! Thanks for all the inspiration! 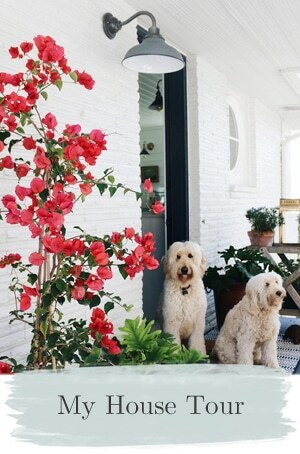 What beautiful and fun porches you’ve found! Thank you for the inspiration, my husband and I had fun looking for homes to photograph. Wow, those are some really creepy houses. Glad I haven’t taken my girls through any Portland neighborhoods lately. They don’t even like the ones that are in our small town. Ewww…I love the fall decorated ones though. 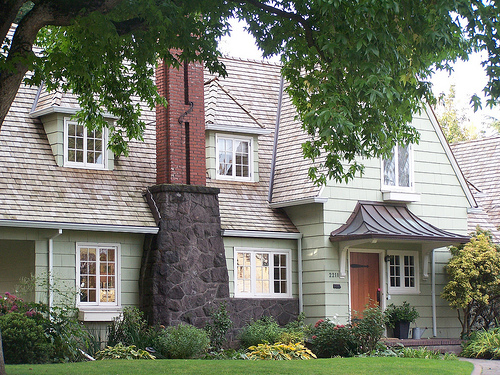 I have always loved the houses in Portland. Our town is 100 years old but the homes do not have the character that Portland have. I loved the drive by photos! 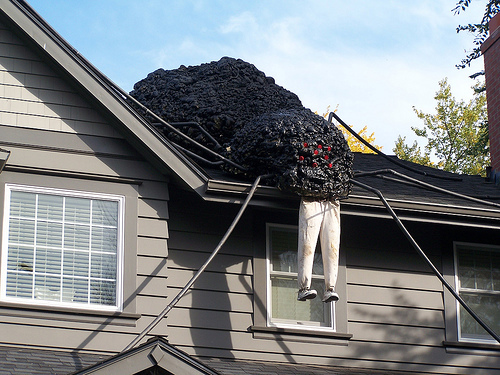 Lurrve the Halloween decorations~everyone is so creative up there! The architecture is so stunning and the homes are beautiful. Wonderful blog! Tinas inspiring blog post..Hallowe’en Blog Party Extravganza Hosted by A Fanciful Twist~Plus My Halloween Party and Giveaway! I do love pumpkin orange, and there is lots of it this time of the year. I also like your new do. Much more “professional” looking! The header is nice , too. Interesting and a little naughty. I do like looking through the curtains, too! Irenes inspiring blog post..See you soon! Love your drivebys. Interesting mix of homes. Uploading photos was torture yesterday. I only posted 2. Will try to add more today. You can aee them at my blog post, Porches on Parade. I’m just amazed at the size of the houses! Loved all the drive-bys. 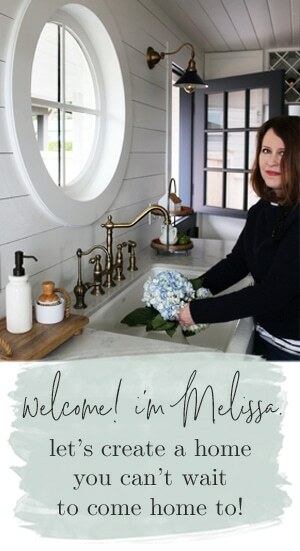 Your blog continues to inspire me, Melissa. 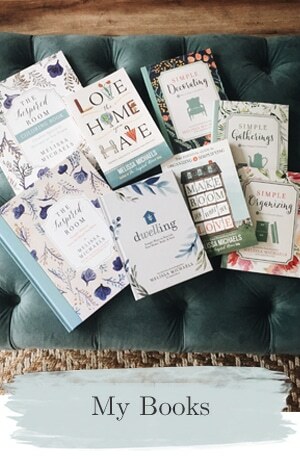 You do have a lovely blog….it’s so obvious how much you love it because you have put so much hard work, as well as, your heart and soul into it. Just want to say thanks for being so generous in sharing your life. 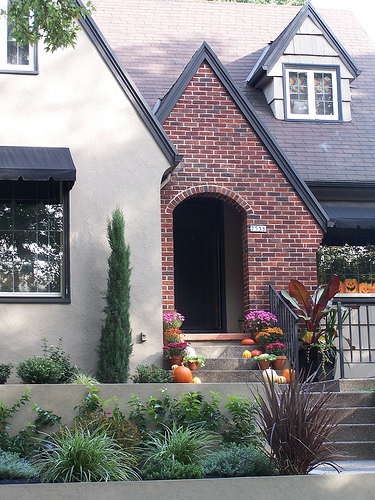 I loved the house with the stone and then brick chimney. We’re building so I copied it and sent it to my hubby for some inspiration. I agree, some nice houses but not a lot of over the top decor….I guess people are cutting back this year – makes me sad to think about Christmas Decorations. These are just so pretty and fun. I did my post on drive bys recently and oh what fun I had looking and stopping to take some pictires. Isn’t Fall just glorious? I love your boog and love all of your ideas! 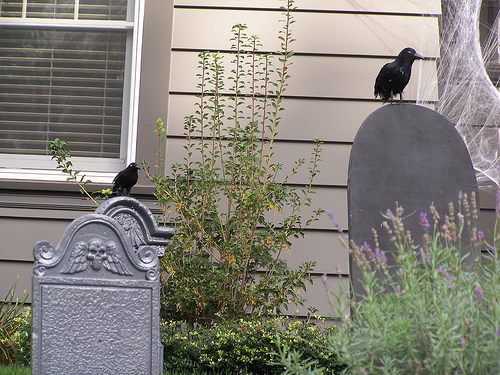 Sues inspiring blog post..I’ve Got Something To Crow About…. i loved seeing the houses all decorated for halloween/fall. around our neighborhood there really are not that many who participate in decorating for holidays….so thanks for the photos! Está llegando Halloween y me pareció una magnífica idea presentar estas propuestas en los porches. 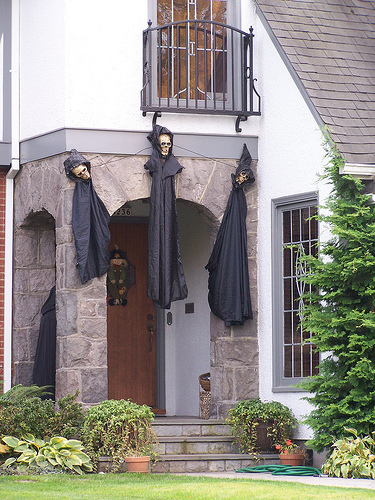 Las casas decoradas de Halloween con escenas para entretener a la familia y a los transeúntes! Me encantaron las tramas llenas de inquietante realismo, mucha diversión y muchooooo terror! Yay for Portland! 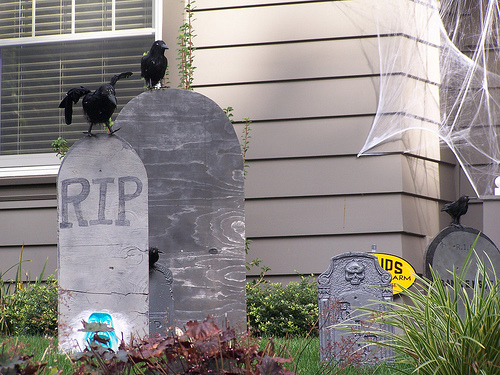 Drive-bys are so much fun, especially when there are such fun Fall and Halloween decorations to look at. Also, I love your blog! Alias inspiring blog post..From Like A Month Ago…. I’m finally linked to Mr. Linky and he has been a total gentleman while I was being a total dork~o~rama….I botched my first two attempts…my appologies…one should not blog before 8am~apparently. P.S. My third attempt worked! A blog miracle….guess it’s true: third times a charm! Hey Melissa! What gorgeous fall pictures (the spider eating that guy wasn’t gorgeous….but it was funny!!) It will take us a week to get through everyone’s goodies – but we are looking forward to it!! I thought I had missed it, so I’m so glad to see that we can link up until Halloween! Love your drivebys. That stone chimney is gorgeous. And I really love the new banner! Is it WRONG that I actually jumped in fright when I saw some of these pictures? 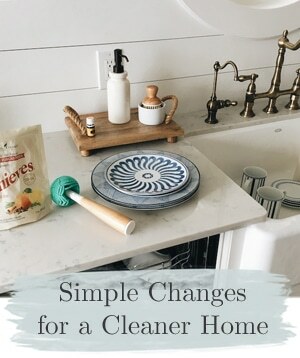 Darlas inspiring blog post..Still think you might get a good deal at Linens & Things? I love reading your blog! The rooms are so inspirational. I have been renting and moving 6 times in the last 7 years. My husband is almost done with Law School so soon no move moving and we can buy a house. Untill then just dreaming and enjoying your blog! Love your site…your photos are always amazing. Looking at all the lovely photos and then I realized…that’s my neighborhood and your parent’s old house is right up the street! One of the reasons I love living here is that it seems the whole neighborhood really gets into the spirit of things for ALL major holidays. I hope you show what we do at Christmas…maybe my front porch will end up on your blog…butI’ll never tell you which home is mine! This is such fun…Great enjoyment!…thanks! Wow! I love having the homework done before I even get the assignment!! Nevermind that I’ll spend all morning reading what everyone else turned in!! The very first picture is likely of a Catholic home–the writing above the window is from Epiphany, 2008….where it is tradition to use chalk to write the year, and the initials C+M+B over the door (there are several variations on why those initials, the most common being that they are the initials of the three kings, Caspar, Melchior, and Balthasar, OR the words Christus Mansionem Benedicat–Christ Bless this house). It is traditionally written over the door, which is also blessed with holy water at the same time, in this way 20 C+M+B 08 . I know this is late for the initial post, but figured I would mention it. I just found your blog and am working my way backwards–and enjoying every minute of it! Thanks for all of your hard work, and the sharing. Hopefully you will settle in quickly to your new home (we moved this year from NC to OK…ugh..). You are so lucky that 1. There are monay houses with front porches in your area & 2. That people are already decorating for fall. Here in sunny Florida, we are still hitting the 90’s every day and is not very inspiring for fall decor! .-= Brenda´s last blog ..First Day of School =-. Love the Halloween pictures. I can tell that Portland must go all out. I really loved the spider on top of the house. Looking forward to your Christmas pictures. .-= Gail J Richardson´s last blog ..header-03 =-.